NASA’s Dawn spacecraft got its first glimpse of mysterious bright spots on the dwarf planet Ceres on final approach early this year, and scientists Thursday released the sharpest view of the features yet. The brightest points are clustered within a 55-mile (90-kilometer) crater. The markings consist of several small spots with different sizes and shapes, according to NASA. 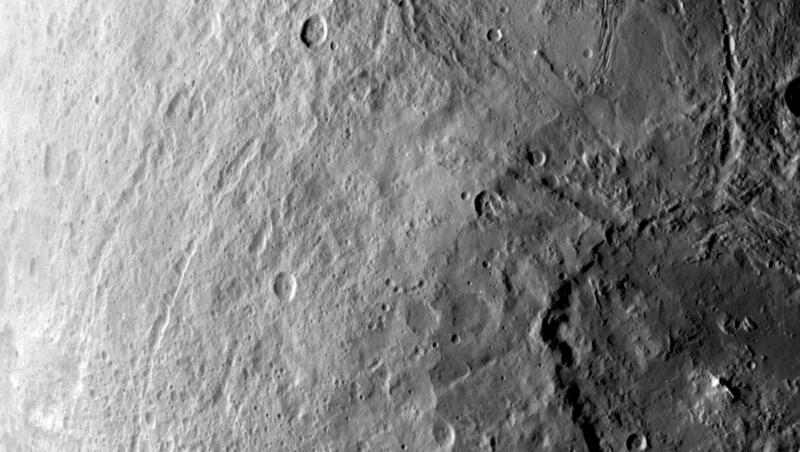 The latest image from Dawn was one of the first photos the spacecraft took from its new orbit 2,700 miles from Ceres (4,400 kilometers). Dawn arrived there June 3 and started collecting science data from its new operating post June 5 after a four-week descent from a higher orbit. 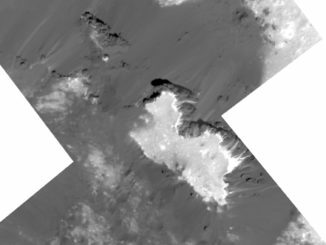 Scientists said Ceres shows evidence of surface activity, including flows, landslides and collapsed structures, but the body’s shiny markings have got the most attention so far. 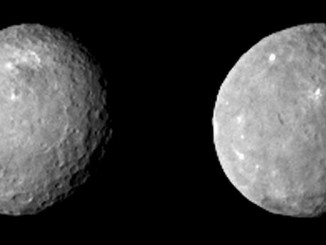 Researchers predicted Dawn would encounter an icy world when the probe arrived at Ceres, so ice is the natural assumption for the make-up of the bright spots. Measurements from Dawn’s infrared mapping spectrometer will help scientists determine the source of the spots, NASA said in a press release. Refining estimates using new readings from Dawn, scientists have determined Ceres stretches 599 miles across (963 kilometers) across at its equator — approximately the size of Texas. It is the most massive object in the asteroid belt between the orbits of Mars and Jupiter. 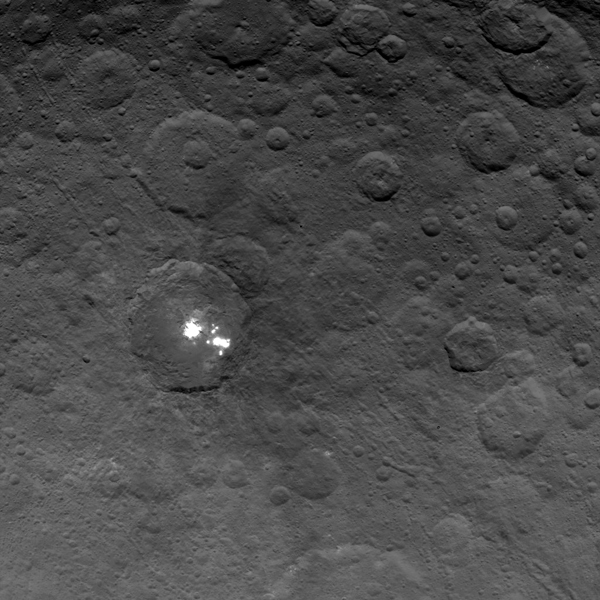 Ceres is the second previously-unexplored body Dawn has visited. The probe launched in 2007, orbited the giant asteroid Vesta in 2011 and 2012, then started the journey to Ceres, where it arrived in March. Dawn will fly around Ceres eight times in its current orbit until June 28, when it will begin to spiral closer to the draft planet, heading for a 900-mile (1,450-kilometer) orbit in early August. By the end of the year, Dawn is scheduled to be closest to Ceres at an altitude of 232 miles (373 kilometers).